September 15th through October 15th is Latinx History Month. 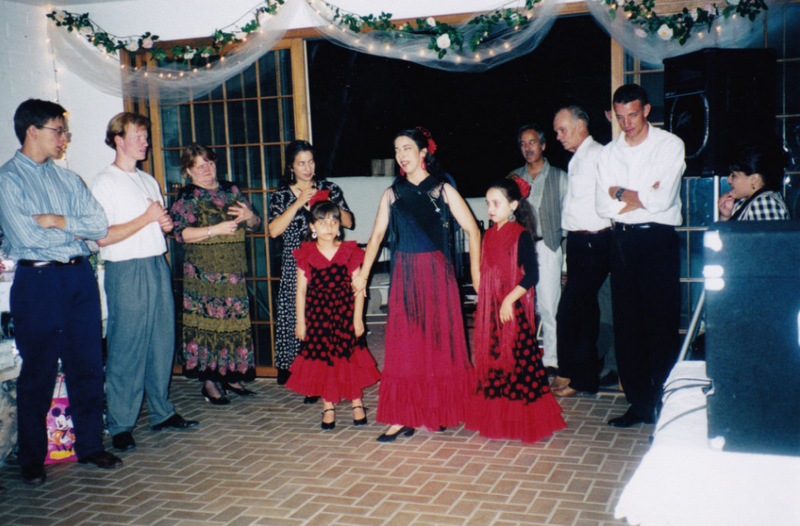 To celebrate, one writer remembers how learning flamenco in her aunt’s garage as a child taught her to find her confidence and her roots. From tennis and surfing to soccer and theater, I spent lots of time trying out a variety of extracurricular activities when I was a kid. The only thing to remain consistent through it all? Flamenco. Yes, that kind of flamenco. The dance originating from southern Spain with dramatic guitar, amazing costumes, and the click-clack of castanets. Dressed in a flowing polka-dot skirt with my hair slicked back into a tight bun, I found myself, along with my cousins, in my aunt and uncle’s garage-turned-dance studio nearly every weekend. When I first started learning flamenco, I hadn’t even been alive for a decade. My world still felt very small. I was an only child, my mom was still alive, everything seemed simple. I had my core group of friends, my eclectic family, my crush on Jonathan Taylor Thomas, my love for drawing—but flamenco was different. It could be serious, intense, passionate, and even tragic. A new, wild energy entered my life once I learned dance routines and attempted to play the castanets with my tiny six-year-old hands. 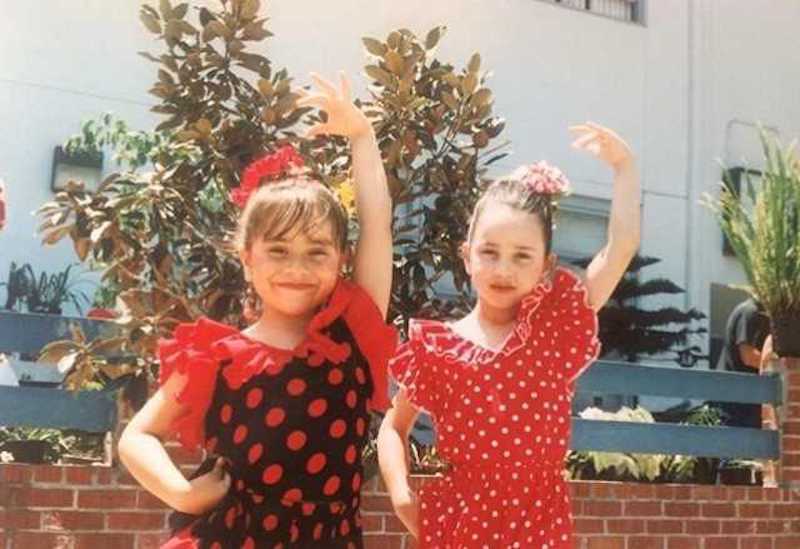 When it comes to flamenco, it’s all about attitude and sass, and as a kindergartener, it’s pretty hard to evoke that kind of mystery and intensity. I was artistic and observant, but I was quite the opposite of what a flamenco dancer embodied; namely, I was shy and prone to crying. But there I was every weekend with my family, trying to figure out how to become a new person through dance. 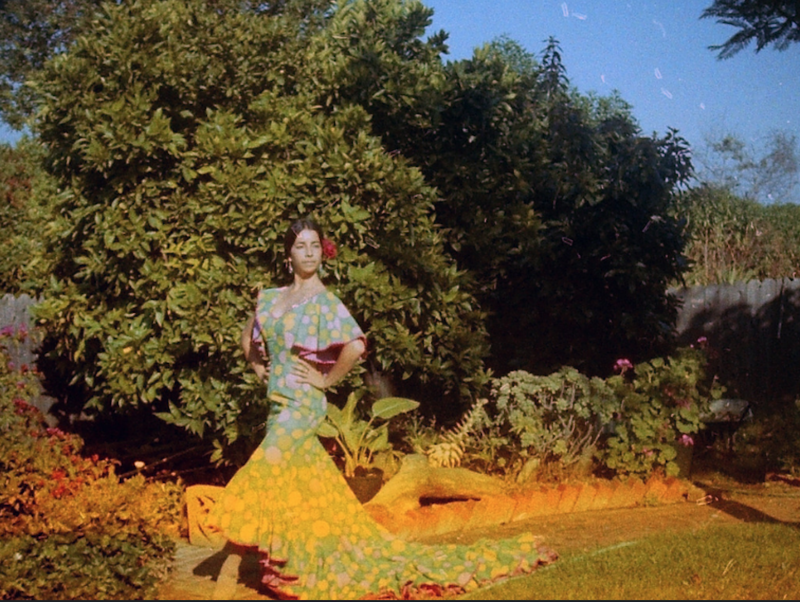 I didn’t know it then, but my flamenco journey wasn’t only about trying a new hobby; I was taking a deep dive into my own heritage. 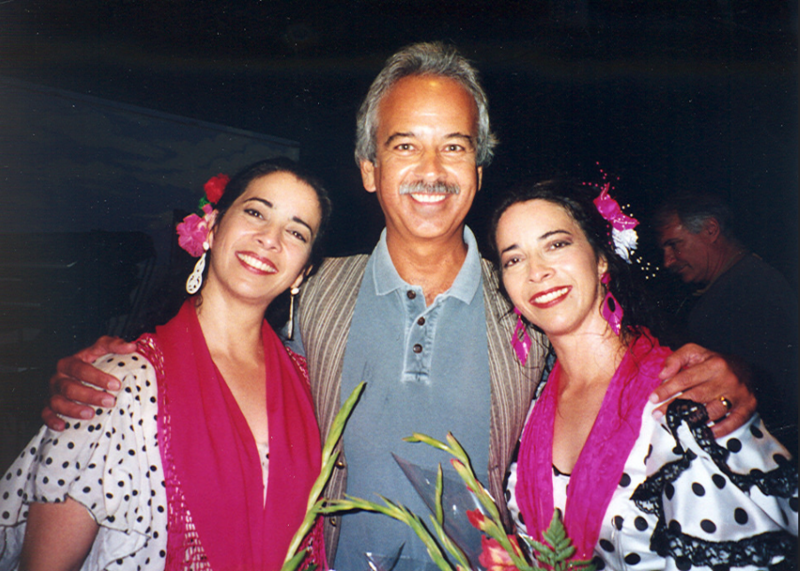 My late mom—a dancer—was white, and my dad is Latino. For my entire life, I’ve thought of myself as a combo plate, unsure of what bubble to fill in under “race” on official forms. While my cousins on my father’s side learned Spanish as their first language, I did not, and that was one of many ways I felt distant from them—as if I hadn’t made it into a secret club. But flamenco changed that for me. It connected me to where I came from and who I always was. And dance is kind of in my blood. Not only did my mom dance, but my dad’s three younger sisters are all professional dancers: Two are twins who went to Juilliard together, while the other sister went to India to study the art form. I remember how each time the Spanish guitar started playing at family parties, the twins, Cynthia and Sylvia, would somehow, without fail, immediately appear in the room, castanets at the ready. It amazed me how in tune they were, not only with the music but with each other (it helps that they’re twins). They’d yell out words of encouragement to one another as they danced and clapped their hands to the beat: “Jale! Vamo!” I was transfixed by their moves, the way that they carried themselves, and their comfort in their own skin. So sure of themselves, so fearless. They were magic, and I hoped that someday I could be magic, too. After hours and hours of rehearsing, I started to get the hang of it. Then my mom passed away, and flamenco took a more front and center role in my life. My aunt and uncle were my caregivers when my dad traveled, and my cousins were like my sisters. We performed at family parties, school events, and even nightclubs (on school nights!). That chapter of my life was an emotional rollercoaster, complete with lots of hairspray, elaborate costumes, and late nights. But it was also incredibly fun and exciting. I was experiencing my culture as I never had before. Even though I didn’t end up pursuing dance professionally, I knew my aunts would continue to support whatever path I chose. Thanks to my flamenco lessons, I learned that the Latina side of my family is made up of countless generations of strong and daring female figures. Now all in their 60s, my aunts still serve as my role models for confidence and grace. And while it took me some time to find my own inner flame, flamenco was just the catalyst. My wild, dancing aunts encouraged me to always dream, forever supporting my creative spirit.